Swara-Yoga is an ultimate practical science in the Tantric lineages for achieving greater success & siddhis in material life. What more can be said about it. It is said in the scriptures that “Swaras are the essence of ‘atman or consciousness’ itself. The one who possesses the knowledge of Swaras is capable of creating success, attain great health, predict future events and even know about one’s destiny beyond the Golden Gate of Death. The Swar Vigyaan is a complete science of success working on the principles of aligning individual actions with the cosmic cycles of ‘Energy Principle’. Human Life on planet Earth is not an isolated event. The whole cosmic arrangement supports life on it. The sun, the moon and the 5-Great Elements regulate the activities on mental, psychical and spiritual levels. A seasoned Swar-Yoga practitioner is capable of identifying the most productive energy cycles and knows how to use them for benefit of others and self. The true SwarYogi is one who can turn any moment to an auspicious moment, any endeavour to a success, mend relationships and even warn about the probable fallouts. With this unparallel intuitive knowledge which comes through persistent practice the Swara practitioner turns everyday to ‘the rewarding gift’ of cosmos. “Few things everyone should understand that Swara-Yoga is a science of breath and has nothing to do with the religion. Not a single mantra or deity salutation is to be done during the practices. The practices can be learnt by anyone who is willing to experiment with one’s body and breath. Most people feel this science to be an open source due to availability of books on the subject but that is not true. The knowledge presented in the every Tantra book has always been encrypted and Swara-Vigyaan is no exception. All ancient systems were presented to able and dedicated disciples in Guru-Disciple system (the great Guru-Shishya parampara). With all the experience at my command and great humility I say that without my Guru I would have not succeeded in it. There are various secret ‘Keys’ that are revealed to students only by able teachers upon seeing their capabilities. Without understanding those keys the true practical knowledge of Swara Vigyaan can never be gained. Also you evolve in your practices as you continue your discipline with SwayYog. Therefore what you learn in these 5-days you must be ready to apply it because Swara Yoga is a lifelong learning. ” says Ma Shakti Devpriya. Swar Yoga 5-day retreat is a residential program by Ma Shakti that takes the participants on a magical adventure with their body-breath rhythms in the lap of mother nature. You shall begin here from ground zero to reach the zenith – in just 5 days! This retreat is unique in a sense as it trains the learner in all aspects of Swara Vigyaan. It begins with covering all the topics of Swara Yoga basic workshop. You are given many secret tips that will be useful in your daily life and those advanced ‘keys’ which are capable of elevating you to the stature of an accomplished ‘Swara Yogi’. One the first morning of your retreat the day starts with mild Yoga practices. There are two sessions of classroom teachings scheduled during the day. The first session happens just after breakfast and the second session is taken later in the afternoon. The evenings will be an opportunity for you to experience and immerse your being in the unconditional love of maiden nature. Unforgettable! The day shall begin with learning Yogasanas and Neti practices. The first class-room session on Swar Vigyaan with Ma Shakti will be happening after the breakfast. Your second day shall reveal many secrets about Swar Vigyaan practices over the two classroom sessions. The second classroom session will be conducted after lunch and karma-yoga session. As a participant in the retreat you shall be assigned some service work that provides an opportunity for karmic cleansing. The day shall end in star gazing for 1 hour. A day full of experiential learning. Swara Yoga is more practice oriented than any other stream. When you are trying to recognize the 5-Tattvas in your being it becomes really important for you to understand what is the best suited method for your personality type. You should be able to recognize rhythm and beauty of Tattvic currents and that doesn’t come without opening to them. This day shall deliver all the good experiences of morning and night light every other day but the experiences with Tattva Dharana will be extremely profound. This process once you know and experience becomes your guide for choosing the best way to connect and recognize the Tattvic energy in your being. Learning Swara-Yoga is one thing but what matters the most is its continuous practice and application. Many participants think this science to be a subject of intellect and memory but contrary to that Swar Vigyaan is a practice work. The classrooms and even practical sessions are there just to introduce you to the techniques, make you recognize different patterns, train you in identifying tattvas and many more things but real fun is in its application. There’s hardly any activity of the day which is not connected with the swaras. Right from the day you get up to the time you go to the bed your success and failures are governed by how much you were able to pay attention to swaras and what measures did you take to orient/plan/execute your activities according to the best suited patterns. Day four of your stay will be more practice and experience oriented. You will learn various mudras and take up practices pertaining to Vayu and Akasha Tattva as well. The day will be populated with variety of activities to keep you in high spirits and best of your moods. The retreat’s last day is refreshingly loaded with wisdom and path forward. Acharya Agyaatadarshan Anand Nath ji speaks about Swara’s connection and reference in spiritual practices. He shall also guide you to many practicals & amazing swara-vigyaan applications. The centre of attraction for all of you will be revelation of the secret practice of ‘Laghu Chhaya-Purush Upasana’ by Ma Shakti Devpriya ji. This particular practice has also been taught in its elaborate form in the Islamic Tantra traditions in another name (it is called ilm-e-hamzaad there). This is for those courageous and fearless students who wish to amaze themselves with their own super-human capabilities. The day generally ends with a musically uplifting evening. Local artists showcase their talent to thrill and sway the group. We plan a visit to an Energetic place like temple, lake, mount or forest as well. One thing that a learner should keep in mind is that this residential programme mark the beginning of a New phase in your life. From hereon things will not remain the same for you, the only condition being the learner should continue with the practices and conduct his/her life according to learnt principles of Swara Vigyaan. Second important point is that by application of the practical tips and secrets of the Swara system that are offered by Ma Shakti ji in this 5-day residential programme you ensure your growth in the Swara Yoga Practices. Third point, this science is a lifetime learning process therefore once you have attended this retreat you should try and attend refresher courses on Swara-System (that are offered from time to time by Ma Shakti Devpriya ji) to elevate your calibre, understanding and knowledge. *The program is open only for those who have taken ‘Tattva Shakti Vigyaan Discipleship Programme’ as advanced Mantric processes of Swara-Yoga and Laghu Chhaya-Purush sadhana are transmitted only in Guru-Shishya parampara. You are what Tattvas make of you! Everyone has an innate desire to know more about self and the surroundings. In this search of knowing more one studies, gathers knowledge from all the available streams of knowledge around but the thirst is not quenched as basic questions arise again and again- What we are? and What makes us the way we are? How to change ourselves? The answer to these questions lie right in front of us but we fail to get it as it seems to be too obvious to be so… but yes it is right. The Five great elements viz; Earth, Water, Fire, Air and Space or Ether function as building stones of not only the whole perceivable and unperceivable universe, but also of our complete being. Whatever we are today, our behaviour, personality, habits, health, attitude and even the train of thoughts are attributed to the subtle interplay of the 5 Great Elements within us. The Five Great elements referred to as PanchTattvas are something we know about but too less of what they have to offer us. Most of us behave in weird ways and the have the habit of saying that it is my nature! This statement is somewhat true but after all what nature is? Your unique nature, good or bad is outcome of the interplay of Five Elements in you. This workshop by Ma Shakti & Acharya Agyaatadarshan ji shall reveal to you that uniqueness, some of which as a person you have always helplessly carried along comes to existence and how is this unique nature of yours is developed. The Panch-Tattva Bodha workshop helps correlate your nature to the dominant Element in you and also how each Tattva is secretly affecting your life, relationship, health and career. With the knowhow and renewed understanding gained in this Workshop you will be able to change your life, attitude and nature in extremely easy ways. We are always surrounded by the Panch-tattvas but are not able to connect to the inherent hidden energies within them. This Masters’ Workshop Panch-Tattva Bodha gives you easy to do and powerful techniques to connect with the Elements (Tattvas) in the forms just as you know them. Most of us know these Elements albeit only in their raw forms. Everyone of us breathes the Air, cooks on the Fire, consumes the vegetables & grains grown on the Earth, drink and bathe in the Water and share the living and working Space with others. But we hardly know about the mysterious powers and secrets each Element (Tattva) has in them. For example if we knew this Water Element gives us power to create great relationships; Earth if properly managed gives us material abundance and security and so on… our approach towards them shall definitely change! How long it takes to see the Changed Me? Your disciplined engagement with Tattvas through learnt techniques starts unveiling these mysteries of Elements. All the chaos and clutter which you have gathered around starts to melt. You start seeing things in new gained clarity and Tattvic understanding. The joy comes freely as you welcome and take benefit of every moment. Your today for the first time becomes a gift of divine – The Present. 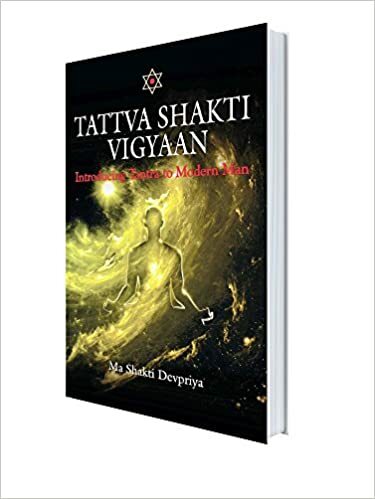 To say unbelievable, super-quick changes are observed in people’s behaviour within a period of 3 to 4 Months as they start connecting with the Infinite Cosmic reservoirs of pristine Elemental Energies within the framework provided by Tattva Shakti Vigyaan. Almost every person starts to feel the subtle differences within 3-4 weeks. Tattvic world has innumerable gifts for you. The more you connect with these cosmic forces more insights you receive everyday. The knowledge given by Ma Shakti Devpriya ji in Panch-Tattva Bodha is unparalleled as she brings in her deeper understanding of Tantra in her teachings. With a teacher like her you can be sure of learning amazing facts about Tattvas and also easy to do practical tips about using the Power of Tattvas to create Magical changes in your life. It is a full one day workshop from Masters. When offered LIVE it is taken in 3 x Two Hours sessions i.e. total of 6 Hours. Application of knowledge gained in the Panch-Tattva Bodha workshop is for lifetime. You can lead a fulfilling time using this wisdom however the impact of the Panch-Tattvas or Five Great Elements in our lives goes far beyond achieving just material abundance, vibrant health and great relationships. Once you experience the power of Tattvas in your life you may want to do more with it. You can choose to take up Panch-Mahabhuta Shakti Kriya, learn Swar Yoga (Swar Vigyaan) and even decide to go for Tattva Shakti Vigyaan – The Discipleship Programme to formally get initiated in the Tantric path (where you use the power of 24 Tattvas) to attain true spiritual wisdom and self-realization. There comes a moment in the life of every spiritual student when one realizes the importance of commitment and dedication to the ‘chosen path’. A deeper intuition takes charge of life and makes one courageous to the core to be able to experiment with life-energies and be open to receive commands rather than just advices and so much more… The Student-Teacher relationship is transformed and now Teacher becomes the Master and Student – The Disciple. If you are still asking this question it probably means you aren’t ready to receive ‘Initiation’. A bond between the teacher and student has to become trust centric before such a step is contemplated. The Tattva Shakti Vigyaan discipleship program marks the beginning of altogether different level of journey in spirituality. Having gone through this initiation process means you are now identifiable as the ‘sadhaka’ of an ancient Tantric lineage in the form of ‘The Lodge of Masters’ – Gurumandala. You receive a personal mantra from the ‘Lodge of Masters’ and with this mantra comes your connection and access to unbound support, guidance and protection of yours in your spiritual endeavours. It also means now onwards your genuine queries about ‘Sadhana’ and personal development shall taken up by Masters and appropriate shifts and course corrections shall be advised from time to time. Every practitioner who receives ‘Initiation’ is monitored by the living and astral Masters in the lineage of Shiva for their spiritual conduct, challenges in Sadhana and obstacles in growth. Upon receiving this ‘initiation’ you come a step closer to ‘Shri Vidya – Krama Deeksha‘. You are inducted in discipleship of Tantra Masters, in the pious lineage of adept Shri Hayagreevaananda ji by Ma Shakti and Acharya Agyaatadarshan Anand Nath. Taking responsibility of your life and your actions. Inform the Masters about any of other practices you are currently engaged in. Initiation is the first formal step in the life of the practitioner to ‘Live’ in ‘Shakti Consciousness‘ every moment. That you shall try to inculcate this attitude. That you shall kindle your awareness and deepen it with time. Update your progress/challenges at least every 3 months. That ensures Masters would be able to help you better. Accept the authority of your Guru / the Master in the domain of your spiritual conduct. First scenario is for those who have received Proper Initiation*** in a lineage. If you have received proper Deeksha (Initiation) in a lineage and if your Guru is still in the body (alive) you should discuss your intent with him and ONLY with his permission you should come for this deeksha. If your Guru asks, you may be required to surrender his mantra (or go through the process of separation) as well. In case your Guru is not in body you can humbly convey your intent to drop the practices he/she had given citing your own genuine reasons (lack of guidance, not able to progress etc.) and then you can proceed for Discipleship Program. Second scenario is where your initiation is not proper (please read the footnotes for more information). In such situation it is purely your choice to go ahead and get into Discipleship program. Spiritual practices are personalized regimes for the practitioners as decided by the Guru. If teacher feels it right you may be allowed to continue with your some/all the previous practices however you should keep in mind that mixing of many Spiritual practices from different Gurus generally doesn’t do any good (Ma Shakti & Acharya Agyaatadarshan Anand Nath don’t recommend that as well) therefore make up your mind to drop your current practices forehand because if your practices are found to be interfering in your Tantric path, you may be asked to stop practicing them. You don’t need fear for anything. Just to reassure you, there are thousands of Tattva Shakti Vigyaan practitioners across the globe. In case you want to speak with them over phone / internet just drop us a mail we shall be happy to connect you with anyone near you. Alternatively you can visit our YouTube channel and watch the glimpses of expressions of people who have received Initiation and are practicing regularly. In fact it is through regular practice and Sadhana the practitioners derive many beautiful experiences, wisdom and joy of transformation. The first initiation leading to Discipleship Program is done face to face. In unavoidable circumstances Masters may use the way of LIVE Transmission in case the disciple is unable to present himself/ herself physically before them. Generally the disciple is directed to perform certain rituals, chant prayers under the direct supervision of Ma Shakti or Acharya ji to assist in the process of initiation. It should be noted that further higher initiations by Masters in Tattva Shakti Vigyaan and Krama are NOT available without making yourself physically present for the ceremony. ** NOTE – Only students who have completed requisite courses (refer eligibility section) need apply! * Personal Mantras are to be kept secret to prevent the leakage of your own energies gathered in Spiritual Practices (Sadhana). There is whole lot of reasons about maintaining this secrecy and they are communicated to you during the ‘Initiation/Deeksha’. ** The Tantric process of separation is a mandatory ritual in many spiritual lineages. In the case of Tattva Shakti Vigyaan initiation also this is adopted. A dissenting practitioner may choose to leave the practices without undergoing this however that does not benefit the disciple in any way and he/she may find severe stagnation in his/her future spiritual endeavours. *** If you have gotten formal ‘deeksha or initiation’ in a Spiritual Lineage that means you must be given the names of your all the Gurus (minimum of four generation – known as ‘Guru Pankti’ ( Guru, Param Guru, Paraatpara Guru & Paremeshthi Guru). As per spiritual traditions if you have not been given these names you are NOT gotten proper DEEKSHA. Many teachers just tell you that they are ultimately in the lineage of Shiva etc. that doesn’t qualify as ‘Guru-Pankti’. Some of the Teachers tend to believe that they have received initiation from many Gurus in their dream/meditations etc., technically that also does not qualify them as representative Acharya/Disciple in any lineage. Anyone who is interested in pursuing Tantric Spirituality can attend this programme. Even those who are just curious and beginning their journey in spirituality will also find it useful in making the best of their practices the choose to work with. **NOTE – Only students who have completed ‘Panch-Tattva Workshop need apply! The Ancient Tantric Healing System! Healing and health has been integral part of almost every Indian spiritual systems. Yoga and Tantra are the two such systems that India has given to the world. While Yoga’s efficacy to health is a proven fact the Ancient Tantric Healing systems are mostly in the veils. Tantra as a discipline has always been a guarded secret cult generally away from the reach of the masses. The only reason about such secrecy about Tantric processes has been owing to the fact that these techniques are extremely powerful & double edged therefore if they fell in wrong hands they could have been misused and abused. It is purely unconditional love of the Lodge of Tantric Masters** that, Ma Shakti and Acharya Agyaatadarshan Anand Nath have been ordained to make the 5D-Shakti Healing available to the world now. 5D-Shakti Healing has purely tantric approach to health and healing – presenting specific solutions and precise methods to alleviate disease, pain and suffering from human life within the framework of ‘Law of Karma’. It will be fair to say that 5D-Shakti Healing is India’s gift to the Healing needs of the modern world. Tantra recognizes that a human being does not operate only on the plane of this physical body. A human soul is experiencing the pleasures and pains of this worldly plane through its 5 different sheaths it is covered in – the Pancha koshas. It also understands that every human soul comes on this physical plane with the sole purpose of enjoying the fruits (whether sweet or bitter) of its ‘karmic’ baggage. Therefore if you are trying to reduce your bodily diseases and sufferings by physically treating it through ‘Therapies’ and ‘Medicines’ you are not attending to the root cause of it. Through such methods you can only ‘treat’ but can’t ‘heal’ yourself. 5D-Shakti Healing is a TOTAL Healing system that works on the root-cause of your sufferings hidden deeper in koshas e.g. Mind body, Prana body, Karma body etc. It restructures all the layers of your being through appropriate practical methods. It works on your entire being making you healthy, peaceful, joyous, kind, loving and generous – A truly ‘Living’ being! Tantra is a system of harnessing energies and intentions through exploration of inner and outer nature. The universe is storehouse of infinite variations of energy or Shakti manifestations from plants, animals, tattvas, sounds, celestial bodies. There are herbs, there are energy processes, stones, celestial energies and innumerable hidden powers within human body. 5-D Shakti Healing uses Tattvic Energies, Gems, Herbs, Yantras, Symbols, Mandalas and Body & Breath processes. Apart from using just these tangible means a tantric healer is capable of channelizing the finer energies of higher realms for one’s good through the application of powerful Yantras, Mantras and sacred energy processes within and outside human body. Yoga uses only two tools – body and breath while Tantra makes use of multiple energy processes, herbs and also heavily works on harnessing divine tattvic energies. While Yoga is a step by step process Tantra is quite flexible and can also be used SOS. The most important aspect of ‘Tantric healing’ is that it teaches the healer to differentiate between ‘Aadhi’, ‘Vyaadhi’ and ‘Upaadhi’ and adopt suitable technique for healing rather than just be hooked on to medicines and bodywork. More often than not the suffering or disease is caused by external unknown (for normal people) forces which can be dealt with only through psychic means. Such paranormal influences can be removed with the use of ‘Tantric Healing’. Therefore 5D-Shakti Healing is far more effective and deeper in its understanding of suffering and also eradicating the physical/mental/spiritual suffering which Yoga is not capable of. There are two learners’ level in 5-D Shakti Healing. First level of this programme is about ‘Tantric Healing Essentials’. After assimilating the first level the phase of learning-experimenting usually lasts from 6 months to 2 years (depending on your sincerity and regularity). During this period the Healer is not supposed to heal others. However once they become proficient in the ‘Tantric Energy processes’ and develop sound understanding of ‘Mantric Energy Processes’ they may choose to go for Second level of “5D-Shakti Healing’ after which they can definitely serve others. Can I heal paranormal influences through 5D-Shakti Healing? Yes! A good healer is one who is able to identify the influencing negative energies and entities but a powerful healer is one who has strength and capacity to deal with these dreaded energies and ward them off. 5-D Shakti Healing gives the practitioner such powers that he/she can handle virtually every negative influence of this planet. This capacity is earned with healer’s discipline, devotion to the nature’s benign energies and through the mastery of tantric processes. Although a beginner is not advised to engage in such cases for he/she may get harmed but as one progresses under the guidance of Masters one take up paranormal influences head on and knock them off too. This is an 18 Hour intensive programme by Masters that is available in residential setting or LIVE Workshop*. Since it involves learning few techniques around breathwork and bodywork, the LIVE Workshops are conducted under the local supervision of The Shakti Multiversity teachers. This programme is available ONLY to the Tattva Shakti Vigyaan practitioners. One must be a Tattva Shakti Vigyaan practitioner oneself to learn this. WHY? Getting initiated in Tattva Shakti Vigyaan means you are having knowledge of ‘Human Energy Anatomy’. With Tattva Shakti Sadhana comes direct experience of working with the energies of ‘Tattvas’, Symbols and Mantra’. Since Tattva Shakti Vigyaan is a tantric spiritual discipline it also readies the practitioner to be able to handle various aspects of ‘Body Centric’ healing processes’ that are essential part of 5-D Shakti Healing. Tattvic purification and protection of Gurumandala which is available to a Tattva Shakti Vigyaan practitioners enables them to fearlessly experiment and benefit from higher energies. The Gurumandala’s presence also ensures that the healer shall not be endangered in case he/she is dealing with paranormal causes. * LIVE Workshops are happening at designated Centres in India and USA. Participants have to report at the centre on the programme days. **NOTE – Only initiated (Tattva Shakti Vigyaan Pratham Koti) practitioners may apply!